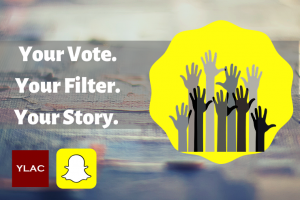 Snapchat and YLAC are coming together to bring an amazing opportunity for you to create a special ‘I Voted’ filter that will be visible to all Snapchat users in Delhi and Maharashtra on their respective polling days! We want people to flaunt that they fulfilled their civic duty to vote and get others to join in the celebration of India’s democracy. Showcase your creative skills and submit your entries to the contest before the election date in these two states. We will select the best entry(s) and make them live on the platform on the polling day! Entry to the contest is simple and requires only two steps: (a) creating a suitable filter and exporting it in transparent .png format, and (b) submitting the entry through a form on this webpage. Please note that only original pieces of work will be considered. All submissions received before a particular deadline will be considered in that round. Your submission need not be state/ city specific. The winning entries will be showcased as filters on the Snapchat platform in select locations on the respective polling days in those areas. 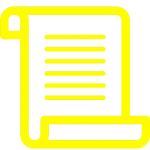 IMP Note: The organizers reserve the rights to use and publish submitted entries in different formats as suitable.